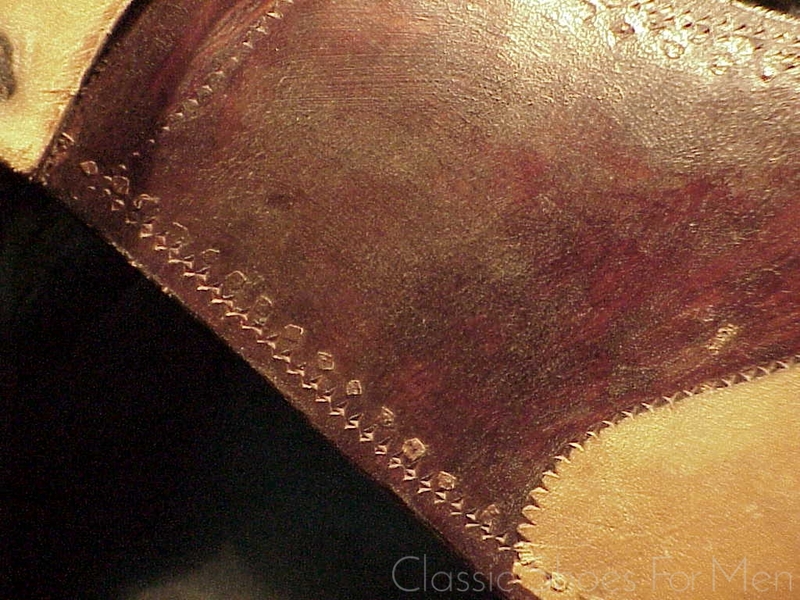 This extreme collectors item is as remarkable in the choice of leather as it is in the superb quality of workmanship. 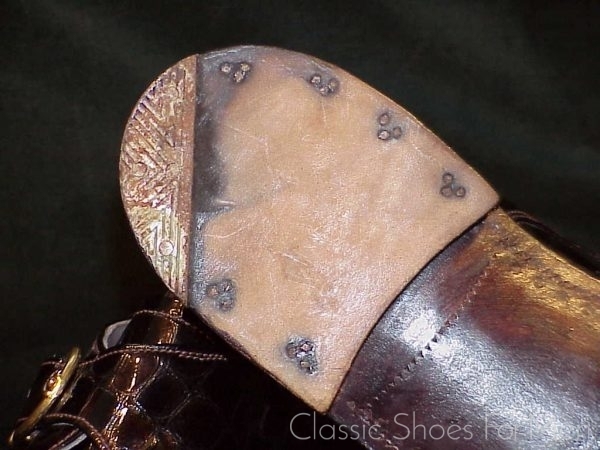 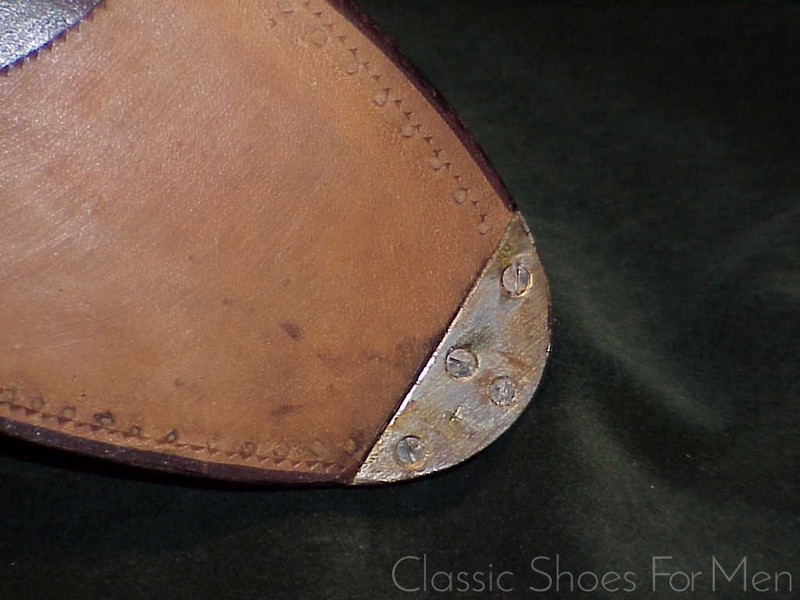 The massive double sole of this important historical document is not sewn, rather it is nailed to the welt with wooden nails in the old Vienna-Munich-Budapest between-the-wars tradition, the sole is molded over a solid shank, the stacked leather heel reinforced with a cord-shaped steel plate and the toe similarly reinforced in steel. 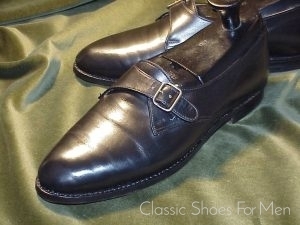 Lined in gray glove leather and finished with a fine solid brass horse-bit buckle, this sturdy shoe promises to endure and serve for generations. 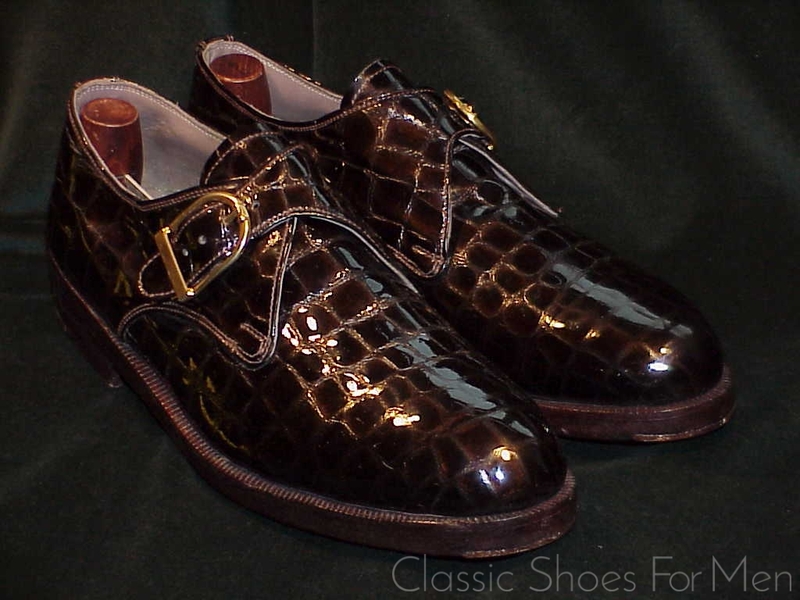 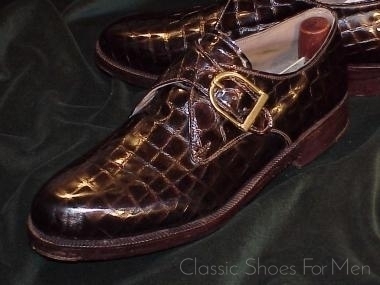 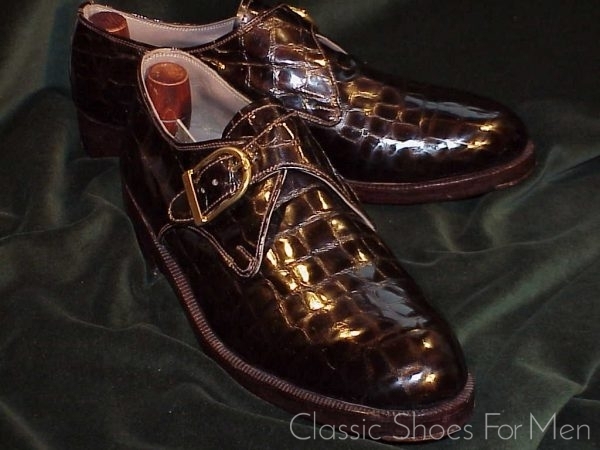 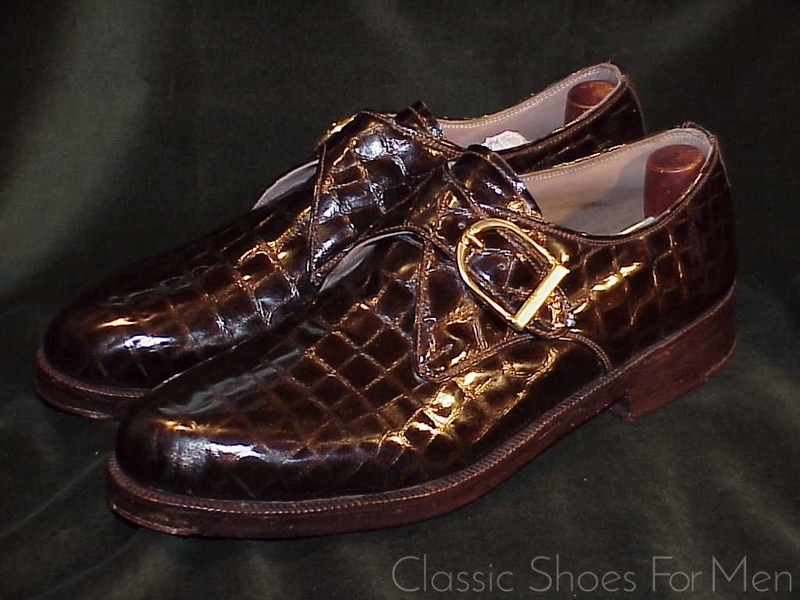 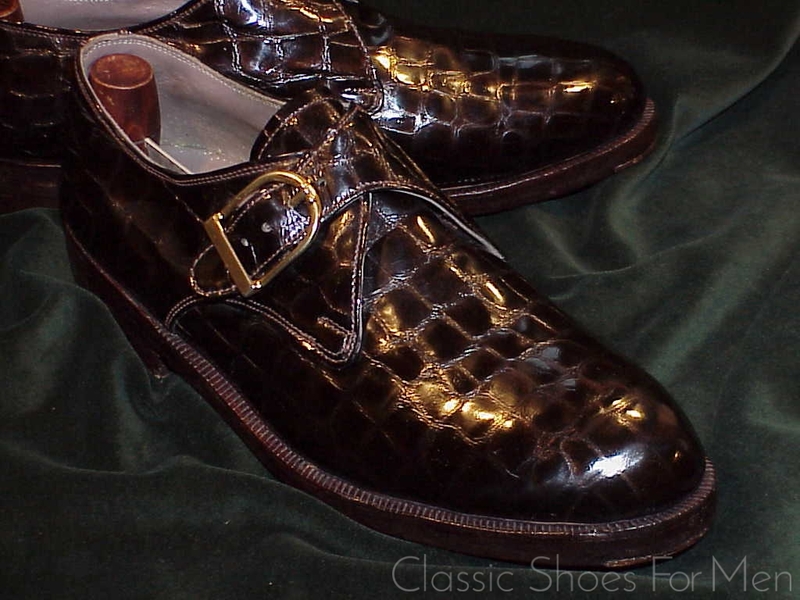 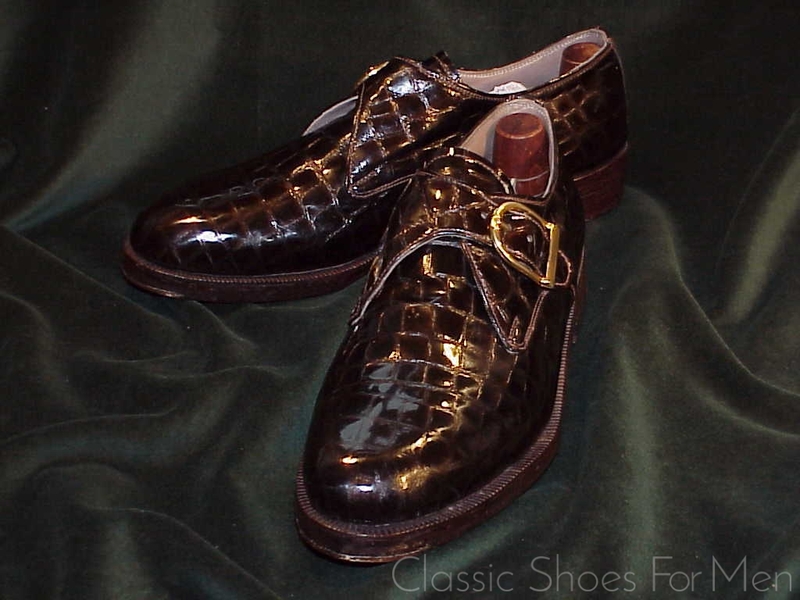 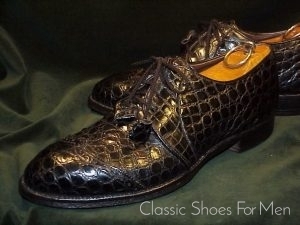 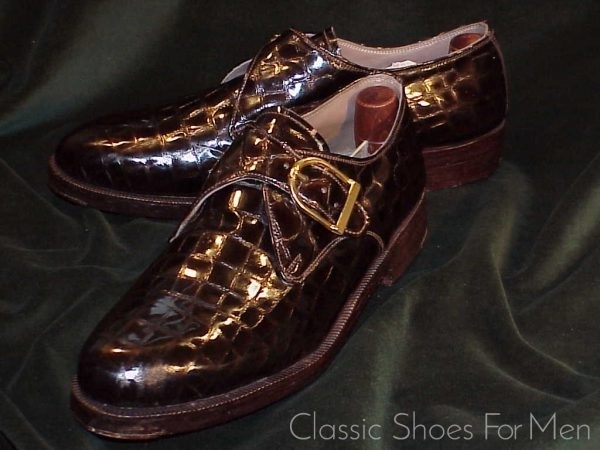 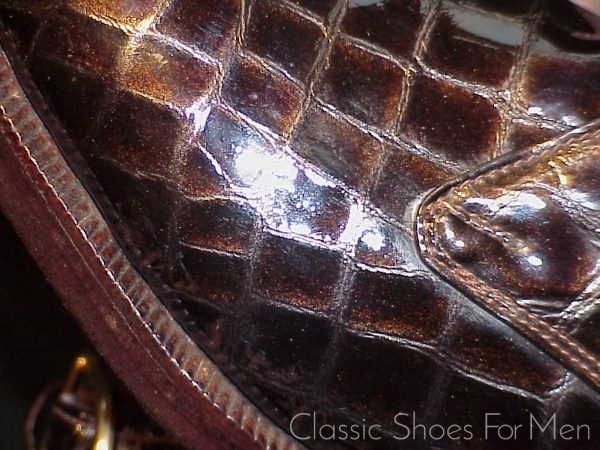 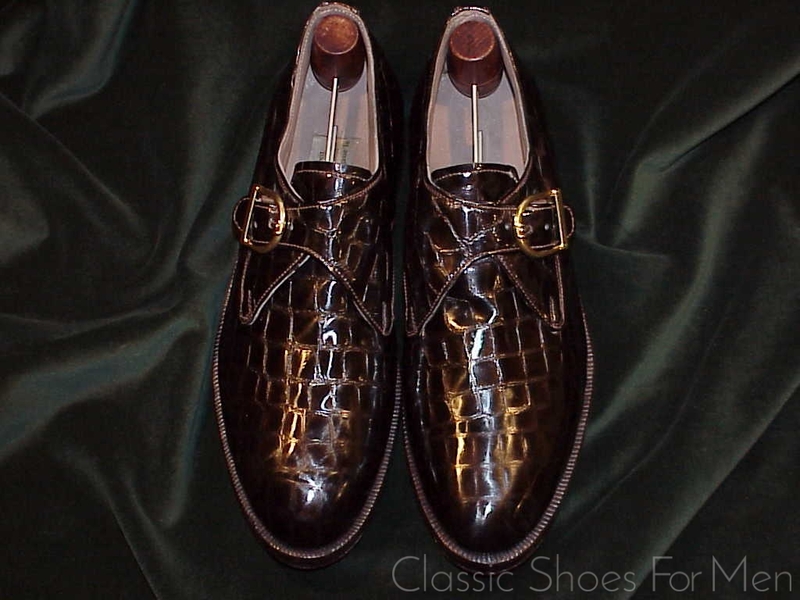 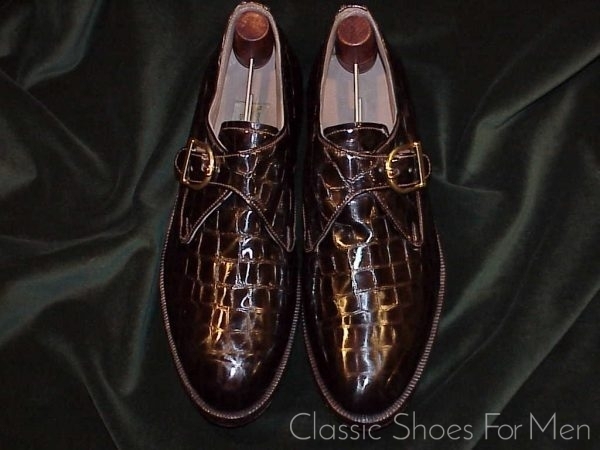 As if that were not enough, this shoes is distinguished from any other shoe in this website by the choice of an iridescent faux-alligator patent leather top, a material that I, for one, have never seen in use in the shoe trade. 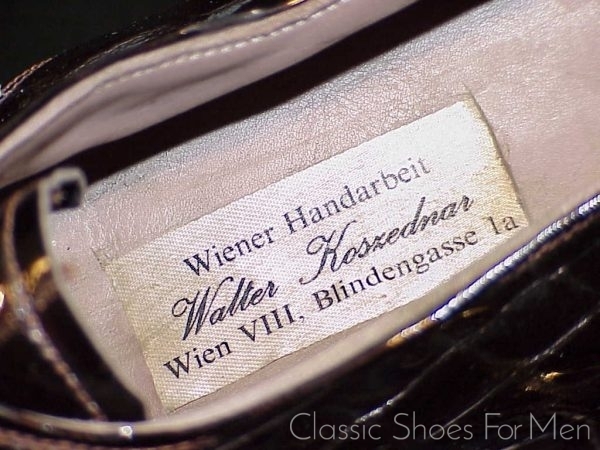 Clearly this was made to satisfy the theatrical taste of an extraordinary client of Herr Koszednar’s. 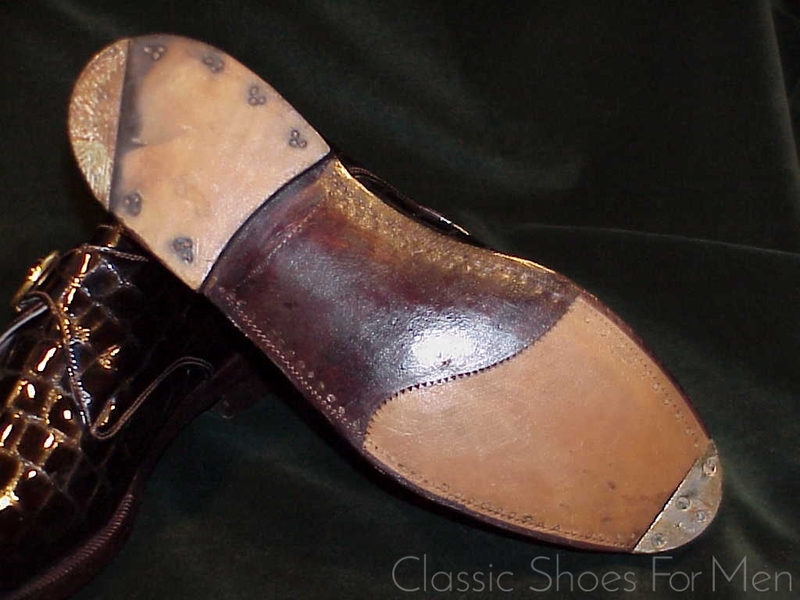 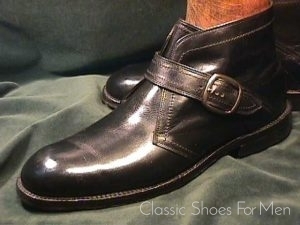 That the client would choose this consummate craftsman –and the craftsmanship invested in this shoe is dazzling- a shoemaker working in a technique predating almost all contemporary shoemaking techniques, to produce such a modern flight of fancy as this, is, frankly, puzzling. 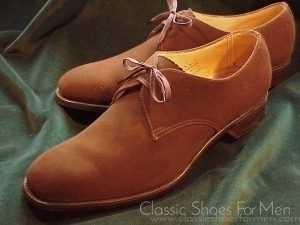 Nevertheless, however baffled we may be by this curiosity, here it is and its uncanny appeal cannot be denied.